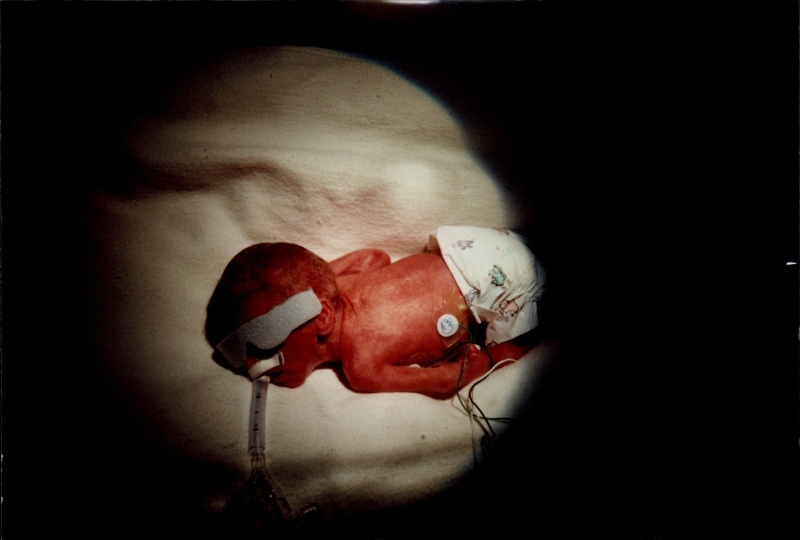 Eleven years ago I gave birth to a baby who needed machines to breathe. Which is why I can’t wait to tell you this story. It was a silly purchase, really. The nursery was having an end of season sale. It was 75% off, but still, we should have known better. Turns out, they do. But just for a little while. And then they start to die. We gave it a couple of years, but this fall my husband and I decided to finally dig up our California Dream and put in something more suited to our yard and east coast climate. It was after dinner one night, I was washing dishes, he was digging up the tree, when Andie came flying through the kitchen door, tears streaming down her cheeks. “Daddy’s digging up the Sequoia,” she cried. “Oh honey, it’s nearly dead,” I said. 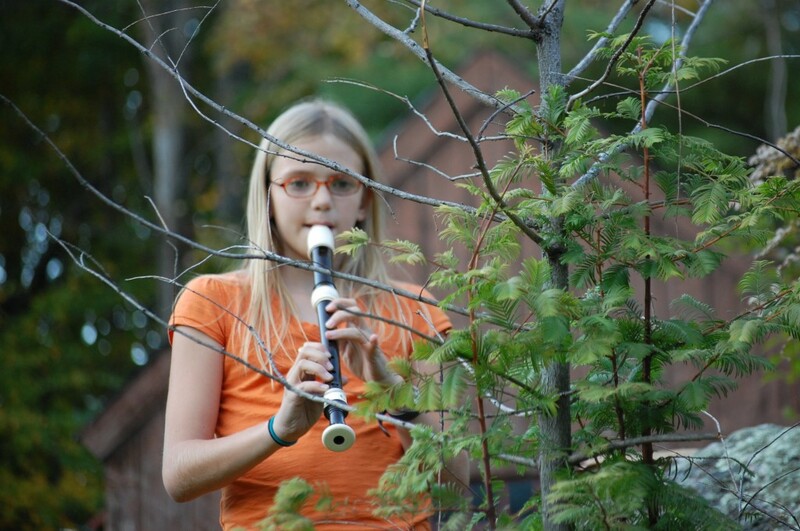 Way back in September, at the beginning of the school year, Andie’s class of 5th graders had been given the choice to learn to play the soprano, alto, tenor or bass recorder. 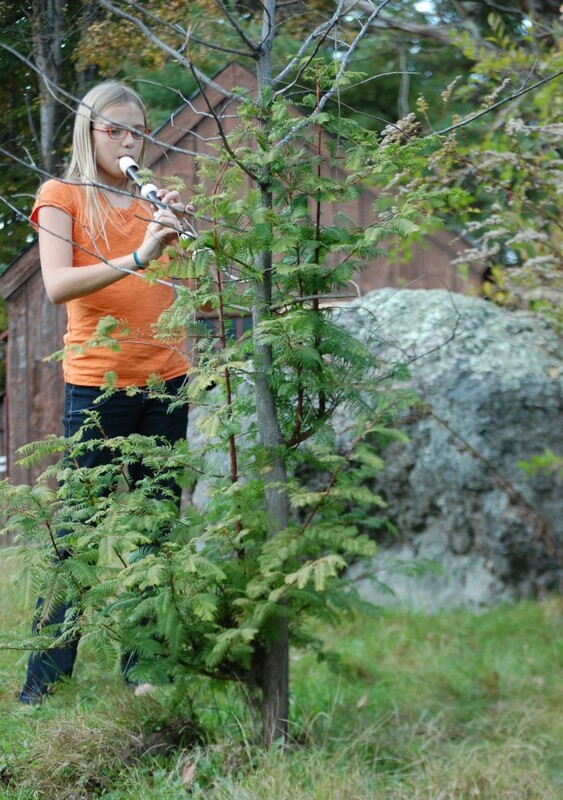 Andie chose alto and had been practicing everyday out in our backyard. Turns out, she’d been playing to the tree. And in fact, upon further investigation, the tree was coming back to life. “I thought I was only planting one tree tonight,” Lee said heading off to help Andie choose a new spot for her tree (by then under moonlight!). It was only a few afternoons later that I was at school picking up the kids, when Andie’s teacher approached. “I thought you’d want to know…” she began, and went on to tell me that the recorder teacher had asked every 5th grader to pick up their instruments, choose one note, take in the biggest breath they possibly could, and play that note until they ran out of air. I had to take hold of her arm to steady myself. I didn’t even try to stop the tears. I thought of all the years we’d given Andie kazoos and whistles, straws to blow feathers across the table, balloons to blow up… and to hear those words. And to see the image of her holding that long, clear crisp note. Here is a short videoof Andie playing to her tree. Her visitor is Meg.